Tourist around the world, are always are in search of top tourist destination and Hong Kong is one of the major tourist destinations. The reason is, it offers endless opportunities to both its citizens as well as immigrants across globe. All people who visit Hong Kong receive a red carpet welcome except few. The Special Administrative Region of the People’s Republic of China has one of the most liberal immigration policies. It attracts professionals, skilled workers, entrepreneurs who prefer to live, work and contribute to the growth of national economy. The Hong Kong immigration has become hot immigration destination and hence all prospective immigrants who think of immigration, think of applying for Hong Kong Visit Visa. In case you are considering to migrate to Hong Kong then you are required to follow specified guidelines. 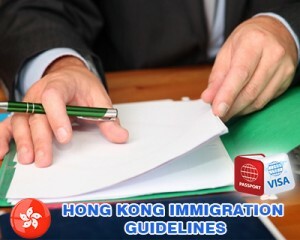 Generally, if an individual attains the right to abode or right to land in Hong Kong, then that individual requires Entry Visa or Permit to study, join or establish business venture, become permanent or non permanent residents. Each and every application is duly evaluated based on the personal as well as professional merits. The potential immigrants are expected to meet minimum immigration criteria, i.e., valid travel documents. These immigrants should not have any criminal background and should not be a threat to the country in any manner. The individuals are also required to be alert as well as well updated because they are required not only to meet the eligibility criteria under the desired category, but also they are required to meet the guidelines under each category, which are subject to change without any prior notice. The individual got admission in private school or post secondary college. The individual has been accepted into post-secondary program which may include part time program or short term course. The individual has been accepted in regular full time local program for a maximum duration of six months. The individual has been accepted for full time local exchange program, non local exchange program for a period of maximum duration of one year. In order to migrate to Hong Kong sucessfully, applicants need to comply with all the below requirements and proced for the further Hong Kong Quality Migrant Admission Scheme visa process. The age of the candidate should be 18 years or above while submission of the application. They should not be threat to the nation neither they should have any criminal record. While in the country, the individual should be able to support themselves as well as their family members during the stay in the country. The individual should be fluent in any one of the following languages, Cantonese (Chinese), Putonghua or English. The individual should have an excellent academic background. For transit visa, the applicant should have a valid ticket for final destination, unless the final destination is Macao SAR or the Mainland (China). For entry visa or short visit, the application will only be considered if applicant’s intentions are genuine, and they should have enough funds to cover their stay without working in their preferred immigration destination. If you are interested to migrate to Hong Kong, fill out ou Enquiry Form, so one our visa expert will get back to you.